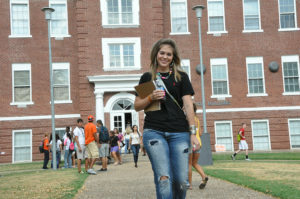 Enrollment for the Summer Semester is still available for students. Students may enroll at any of the Connors three campuses in Muskogee and Warner through June 5! Summer classes begin June 2 and end July 24. A complete schedule of classes can be found at www.connorsstate.edu. Connors will be open from 8:00-4:30 p.m. Monday-Friday through the end of May. Hours will change to Monday-Thursday 7:30 a.m.-5:30 p.m. through the summer. Connors State College has many Associate of Arts and Associate of Science degree options. Some of the degree plans we offer are: Agriculture, Business Administration, Child Care Administration, General Studies, Pre-Education, Pre-Nursing, and Psychology. A complete list and detailed descriptions can be found on at www.connorsstate.edu. For questions please call Warner- (918) 463-6300 or Muskogee-(918) 687-5405.